While the Christmas decorations have been taken down and everyone is immersing themselves at work again (and many on diets! ), our friends at Edie have shared with us the sustainability cost of the festive season and given us food for thought in relation to the waste associated with this time of year. With plastics action gathering pace at an unprecedented rate, Ministers moving for the first time to scrutinise the fashion industry’s environmental impact and the Intergovernmental Panel on Climate Change (IPCC) warning that we have just 12 years left to limit catastrophic climate change, there hasn’t been a dull moment. But as edie readers – and the UK public as a whole – prepare to wind down in front of the fireplace and spend some well-deserved time with their families, one ghost of Christmas past still haunts the festive season – the nation’s waste problem. While we are all aware of the dent Christmas can leave in our wallets and in our progress towards our fitness goals, most of us will be less savvy about the impact the celebrations have on the nation’s sustainability efforts. From food and packaging waste to energy bills and tree disposal, edie rounds up the key challenges which the nation’s Christmas celebrations pose to sustainability progress – and how the UK’s green economy is tackling them. While Christmas always conjures up happy memories of overjoyed children unwrapping presents, the chances are that many of us will have been frustrated with the amount of packaging used for products like toys, chocolates and gift sets at some point or another. Last year, 125,000 tonnes of plastic packaging is estimated to have been generated over the festive period, with items ranging from advent calendar trays and sweet wrappers to large boxes for toys. Indeed, a recent study by consumer group Which? Found that the packaging on Christmas chocolate boxes often made up around half of the product’s total weight. Ferrero Rocher was found to be the worst offender, with wrapping accounting for 42% of its product weight. Similarly, more than 13,350 tonnes of glass is wasted each Christmas in the UK, with alcohol bottles and broken baubles being the two main culprits. The good news, however, is that consumer awareness of waste is growing – particularly among younger customers. In a recent survey of 2,000 consumers, electric vehicle (EV) campaign group Go Ultra Low found that 72% of respondents were keen to reduce their plastic waste output at Christmas, with the majority being either millennials (aged 24-35) or Gen Z (aged 18-24). And with many companies moving to make their packaging either plastic-free, recyclable, reusable or compostable in 2018, there is still hope that the UK’s festive plastic footprint will shrink this year. Last year, the UK sent 277,000 miles of wrapping paper to landfill after Christmas – enough to reach 90% of the way to the moon. Thankfully, this figure has reduced from 2016, when Brits are estimated to have used enough paper to wrap around the world 22 times. However, majority of this paper would not be recycled even if it were separated and placed into domestic paper recycling bins, as most varieties contain plastic in either glitter or laminate form. 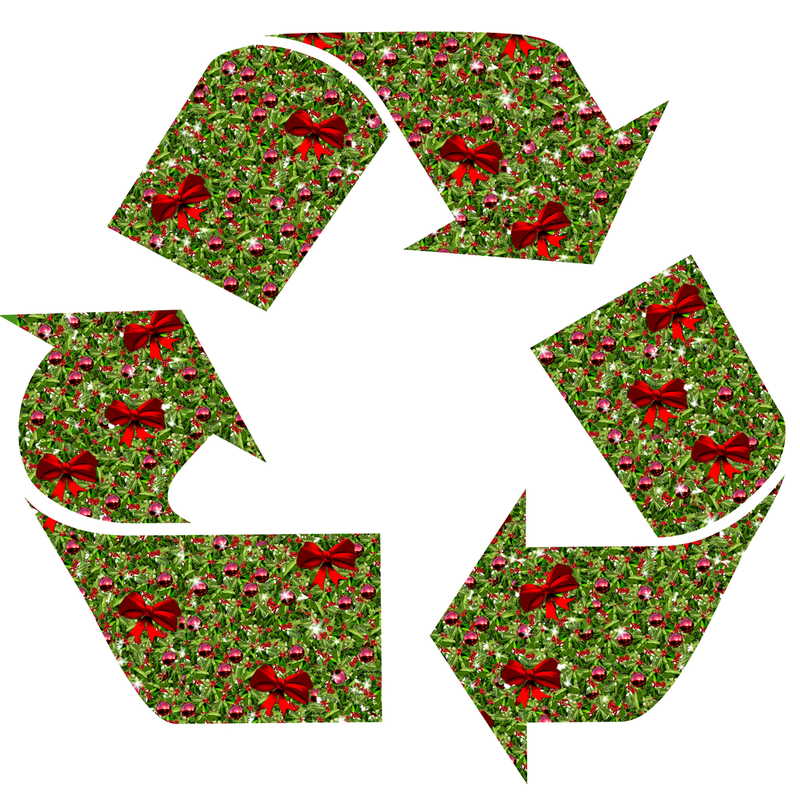 WRAP is, therefore, encouraging shoppers to carry out a ‘scrunch test’ before throwing away their wrapping paper – placing papers which remain in a ball into their recycling bins and those which don’t into the regular household waste. Retailers such as Lush and Etsy, meanwhile, are urging their customers to opt for either plain brown paper or reusable fabric wraps instead. With the average Brit set to send 18 greetings cards during the pre-Christmas period, Royal Mail is on course to deliver around 150 million cards and small packages before 25 December. This is just the tip of the iceberg, with experts estimating that as many as one billion cards will be thrown away across the nation after the festive celebrations are over. In response to the issue, Zero Waste Scotland is encouraging shoppers to forego physical cards altogether and send digital e-cards instead. The body is also urging those who do buy cards to reuse them as gift tags. Similarly, several social media influencers are championing the #DontSendMeACard campaign this Christmas, encouraging friends and family to donate the money they had put aside for cards to charity. Currently, around 1.6 billion tonnes of food goes to waste each year, representing about one-third of the food produced globally by weight. Christmas is no small contributor to this problem. Last year, Brits alone are estimated to have thrown away two million turkeys, five million Christmas puddings, 17 million Brussel sprouts and a staggering 74 million mince pies. This year, we are set to bin two million kilos of cheese. Supermarkets including Sainsbury’s, Waitrose and Morrisons have published recipes using Christmas leftovers this year in a bid to help their customers reframe waste food as a resource for making new dishes. These retailers, along with Tesco, have also launched or expanded their “wonky” produce offerings in the run-up to Christmas, offering fruit and vegetables of unusual sizes or shapes to customers at discounted prices. It’s not just food waste which makes Christmas dinners a sustainability nightmare, but the energy used to cook them as well. Research conducted by Gocompare.com Energy has revealed that cooking a turkey on Christmas – which takes five hours on average – costs 1.5 times more than a standard family’s electricity bill for an entire day. Between six and eight million real trees are sold in the UK every Christmas, with more than 250,000 tonnes of trees thrown away every January. Nordmann firs account for 80% of these trees and take around 10-12 years to grow to six ft. Most local authorities now offer tree recycling services, with the majority of trees collected this way shredded into chippings and used at parks, schools or woodland pathways. However, WRAP estimates that 160,000 tonnes of trees are still dumped each January – either because people do not know where their recycling facilities are or are unwilling to remove decorations. Readers would, therefore, be forgiven for thinking that an artificial tree is a more sustainable option. But research from the Carbon Trust has found that a six ft artificial tree has a carbon footprint around40kg CO2 – more than ten times that of a burned real tree. 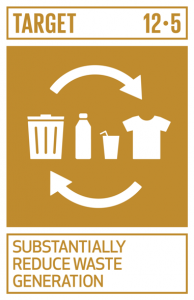 Moreover, they are often non-recyclable in existing infrastructure. Next Post Winter– do I have to wait to have an ecology survey?